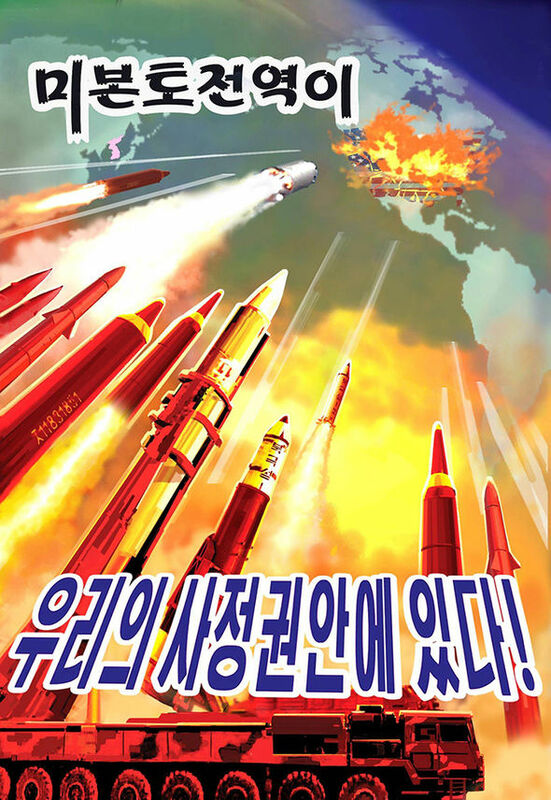 The DPRK put up some nifty new propaganda posters. Not much analysis here, just some pictures. 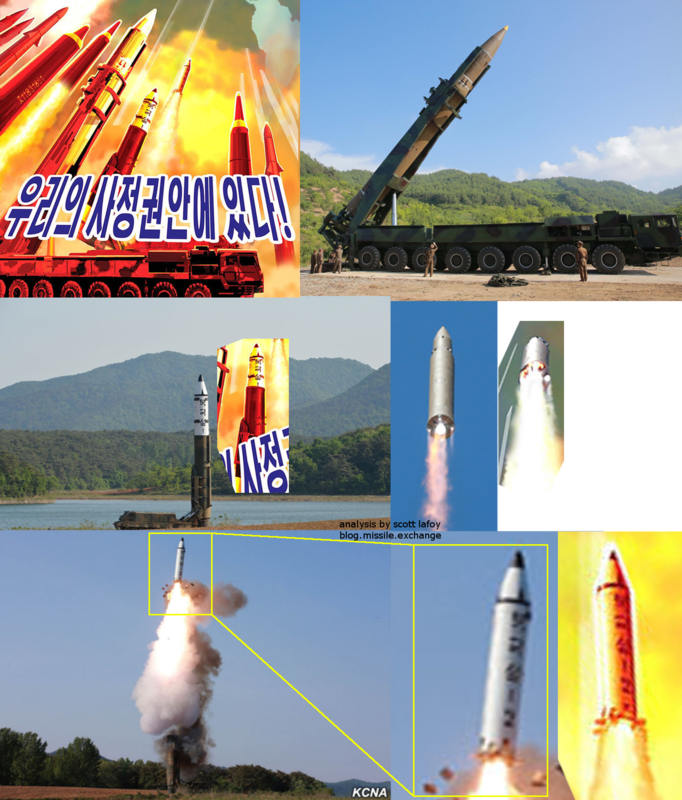 The bottom three are the new posters, which include, on the missile side, a stylized PGS-2, the general new arsenal (which appears to basically be filtered/painted over shots from actual launch photos + some old generic missiles included on older posters), followed by the same threatening the U.S. Capitol Building. I’ve included some older posters show the common themes/posing/framing/styles used across the various propaganda campaigns. Meet the new propaganda, same as the old propaganda. This poster (pulled from express.co.uk) is actually pretty silly to me. Where other posters are stylized, this appears to include some stylized rockets (the three on the far left, one on the far right), but is mostly just filtered rocket pictures from tests. The shots of the PGS-2 are literally pulled from their pictures, with the stylized PGS-2 emerging from its canister even having its shock absorbers still on. 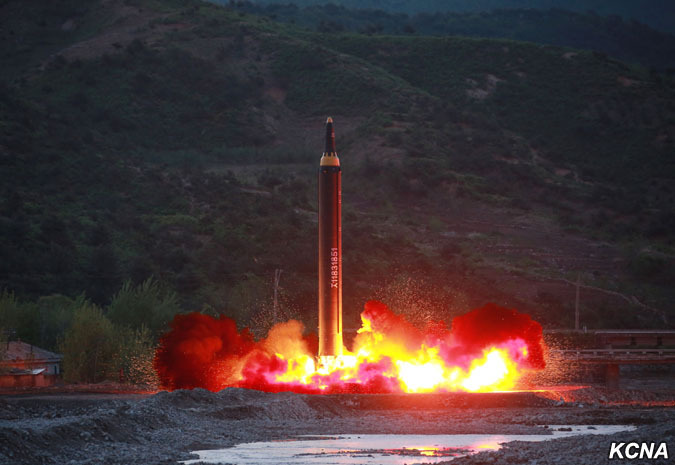 The Hwasong-12 ones are a little harder to precisely place, but one Hwasong-12 uses the same serial number as the 5/13/2017 test.